The Culinistas offer in-home private chef services for recurring weekly cooking and special occasions. When The Culinistas contacted Wondersauce, they were conducting their entire business manually. 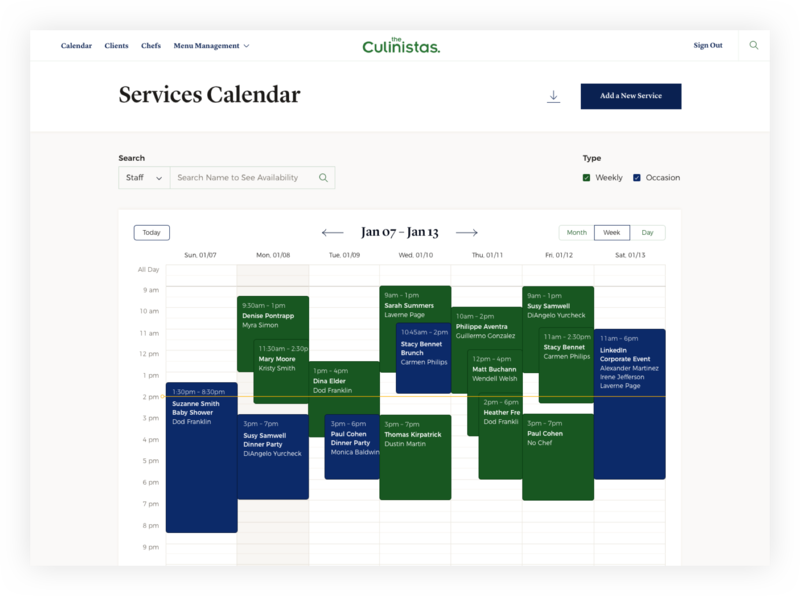 In order to scale and grow their company, we created a fully customized booking tool for The Culinistas to streamline and manage their services, clients, chefs, and menus. 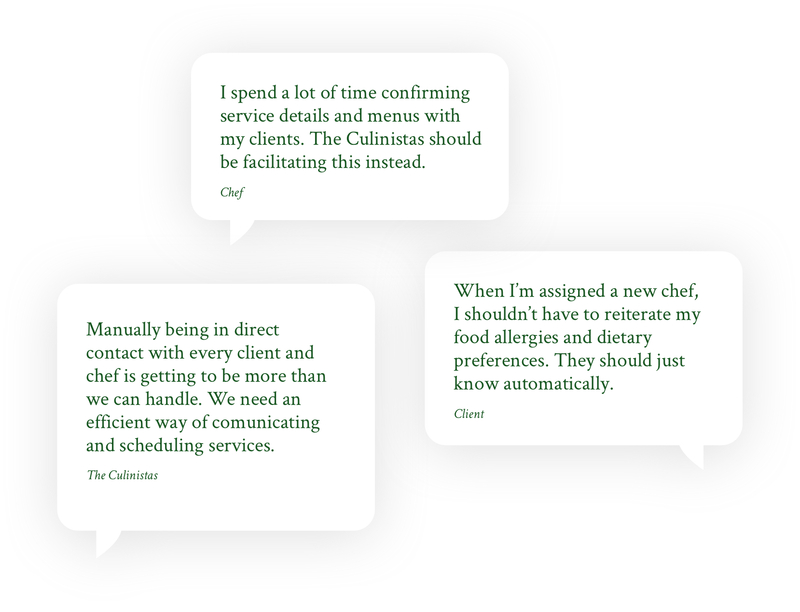 The Culinistas’ chefs and clients were interviewed for research into how this service needed to be improved. Our answer: Create a digital platform for The Culinistas, chefs, and clients to help streamline communication about scheduled services and menu offerings. 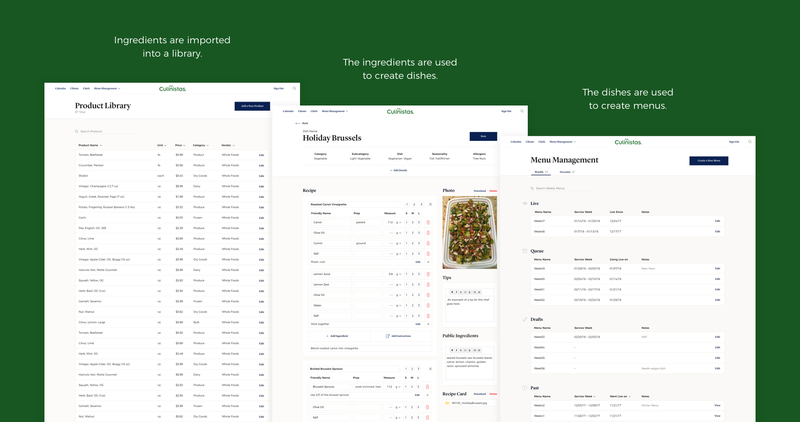 We created a tool that digitized the entire process of building a chef’s menu, from the smallest ingredient to the largest recipe — saving The Culinistas countless hours of repetitive labor. The Culinistas then take these digitized menus and assign them to services between the chef and client. 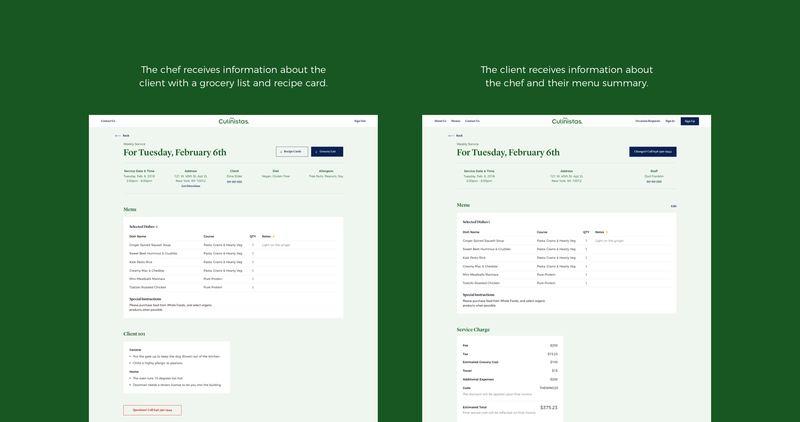 When a service is confirmed, both the chef and client receives an email automatically with the correct information they both need to know for the service. 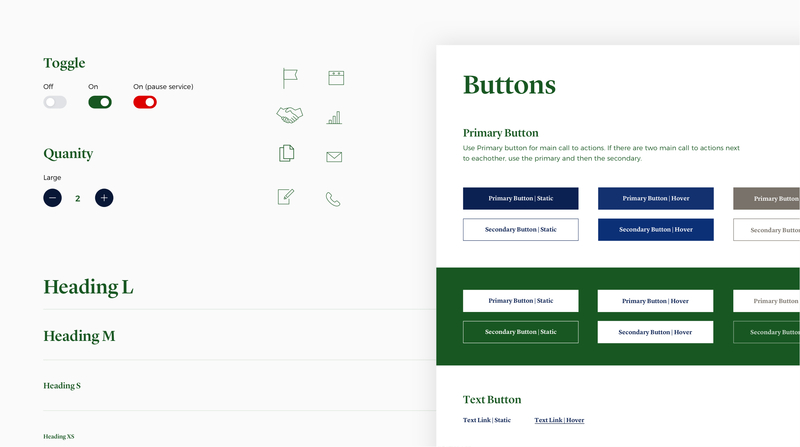 To keep the system consistent and scalable, we developed a comprehensive UI toolkit.